Hong Kong & China Style Steamboat! 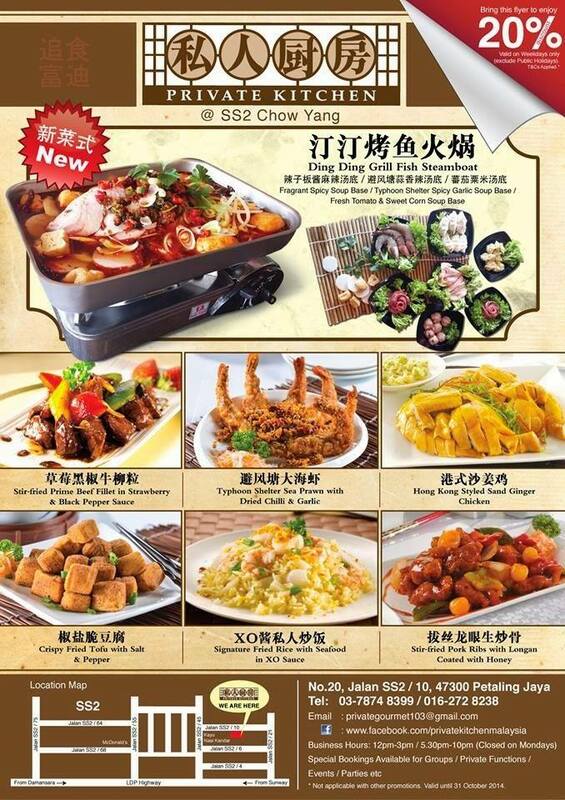 With such a catchy name, one may wonder what’s a Ding Ding Grill Fish Steamboat? I was curious too and was truly excited to find out how it is different from our Malaysian steamboat. Back at the familiar Private Kitchen, which has now moved from the hectic Damansara Uptown to SS2 Chow Yang, Chef Lam Fai brings a new style of steamboat to the city. According to Chef Lam, this style of steamboat hails from a certain area named Ding Ding that produces beautiful freshwater fish that lead to this style of steamboat, hence he named it Ding Ding Grill Fish Steamboat. 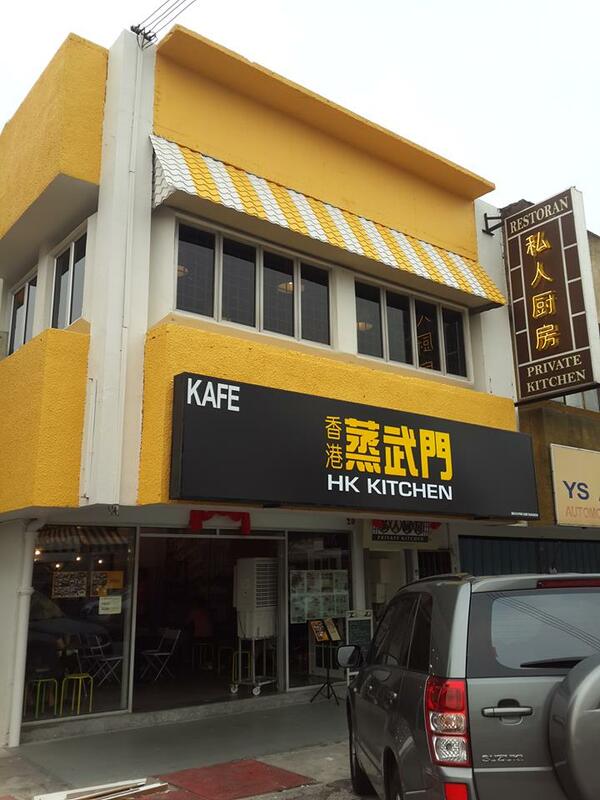 Private Kitchen is set above HK Kitchen, another small café also owned by the same owners. HK Kitchen served up simple home cook single dish meals perfect for every day dining. Entering Private Kitchen, the minimal decorated interior allows spacious table settings. A collection of photos contribute the décor while simple flower hanging lampshades added color. A small counter bar is set at the end of the room. Now we all know that Chef Lam hails from Hong Kong. He has been whipping up Hong Kong style ‘See Fong Choy’ at his Private Kitchen for the last few years. This round, he is bringing in this unique and popular China and Hong Kong style steamboat to Private Kitchen. The steamboat features whole fish grilled and slowly finished in unique broths. Accompanying the steamboat are endless varieties of fresh ingredients. There are three types of broth available to be paired with two types of fish. Choose Australian Jade Perch (RM98) or Red Pearl (RM58) and then decide on the broth of Fragrant Spicy Soup Base, Typhoon Shelter Spicy Garlic Soup Base or Fresh Tomato & Sweet Corn Soup Base. We tried Red Pearl in Fragrant Spicy Soup Base and Fresh Tomato & Sweet Corn Soup Base that evening. Both are served in large wide square tray and served on a portable gas burner. As soon as both arrive, they smell heavenly. One denotes a Ying while the other a Yang. Both are as opposite as night and day. The Fragrant Spicy Soup Base is spicy and consisted of various types of chilies cooked in oil till fragrant and added to a spicy base broth. Besides chilies, the broth also has various types of vegetables and beancurd puffs. Radish slices is served on the side as there are those who cannot take the radish due to medicinal purposes. Lots of fresh coriander is also served add another level of aroma and flavours. The heat level can be adjusted accordingly so let the staff know your preference. The soup is sufficiently flavourful on its own without additional ingredients but as one enjoy the steamboat, the soup flavour turns richer and even more flavourful. The Red Pearl fish is chargrilled and is nestled on the vegetables. As the soup slowly boils, the fish also contribute more flavours to the soup. The fish remains beautifully soft and smooth. It also takes on more flavours together with the soup. The flesh was sweet and has a light smoky note from the grill and remained firm as well. The fish seemed to work very well with both the soups we had. If you are up for more pampering, go for the more expensive Australian Jade Perch. The Fresh Tomato & Sweet Corn Soup Base is so good in flavours and utterly comforting. Using lots of fresh tomatoes to boost the gorgeous tomato tang and fresh sweet corn to give it loads of sweetness, this is my ultimate favorite soup. My first sip of the soup really evoked much soothing notes of sweet, sour and umami. The soup goes very well with all the vegetables and beancurd puff. Adding in fresh steamboat ingredients continue to boost and rich up the flavours to another level. It also thickened up the soup consistency and flavours. We added in lots of green vegetables like Nai Bak and Siu Pak Choi which goes so well with this soup. Throughout the whole night, I kept enjoying this soup happily. I also didn’t feel thirsty after this which is another plus point. 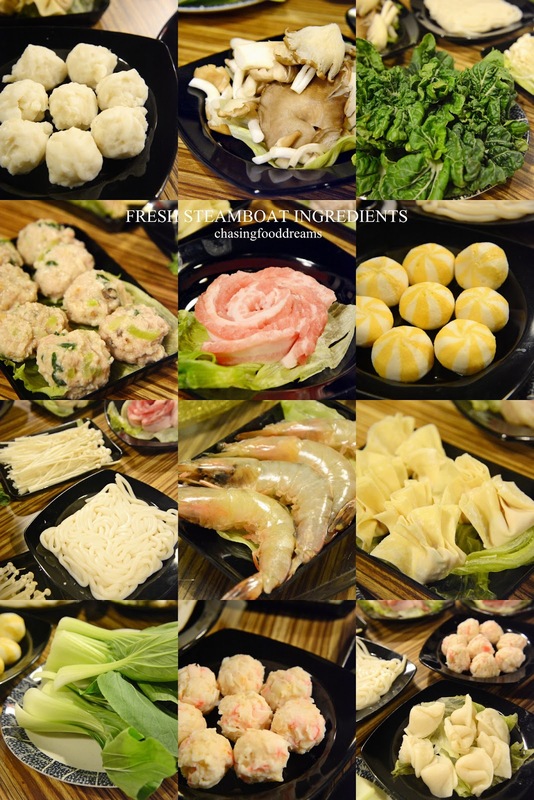 We also had a feast with all these additional orders of freshly prepared steamboat ingredients. Chef Lam focuses more on fresh ingredients rather so put in your orders for Australian Scallop, Fresh Prawn, Bacon, Homemade Pork Dumpling, Homemade Pork Meat Ball, Oyster Mushroom, Enoki Mushroom, thick cuts of Pork Belly slice, Fresh Beef slice and more. There are some minimal processed ingredients like Sea Urchin Ball, Cuttlefish Ball, Prawn Ball and Fish Dumplings. There are also plenty of vegetables like Radish, Corn, Siu Pak Choi, Nai Bai and Lotus Root with plenty of Button Mushroom, Enoki Mushroom, Abalone Mushroom and Straw Mushroom. One can also order some noodles to go with the steamboat. There are no sauces for the steamboat as there are plenty of flavours in the soup to be savored with the fish and ingredients. Besides the Ding Ding Grill Fish Steamboat, Private Kitchen also has a la carte dishes to be savored with rice and weekday promotional set meals. We tried one of their new dishes of Fragrant Chicken Ginger Pot featuring succulent chicken cooked with Bentong ginger in superior soy sauce. The dish is very old school according to Chef Lam. Although there are plenty of ginger slices, its not overpowering and the ginger is quite mild in flavours. The superior soy sauce broth is also lovely, evoking warm and fuzzy flavours. The chicken has a smooth and firm texture. From now till end of October 2014, print out this brochure, mentioned my blog and get 20% off the following items! *Note: Chow Yang area, same row with Kayu Nasi Kandar. very interesting and new concept, would certainly love to try and that chicken! i'm sold!